Compiled more than 14 years ago, the list of environmental trouble spots in five north Russian regions amounted to 42 sites, of which eight were in the Komi Republic. Since 2003, regional enterprises and authorities in Komi have been working to exclude from the hotspot-list sources of pollution that pose a danger to people and nature. What has already been done and is being done now in Komi — in review of «7x7». In 1994, the Nordic governments instructed the Nordic Environment Finance Corporation (NEFCO) to initiate an environmental program for the Barents Region. Its goal was to help Russian authorities improve the environmental situation and reduce the negative impact on the environment and public health. In 1995, NEFCO, in cooperation with the Arctic Monitoring and Assessment Program (AMAP), presented the first results in the report “Proposals for environmentally significant investment projects in the Russian part of the Barents Region”. This document was adopted by the environment ministers of the Barents Euro-Arctic Council (BEAC), and all proposed projects are included in an action program on nature protection. At that time, the Republic of Komi was still not an official participant in the Euro-Barents cooperation and therefore was not considered in the report. Environmental hotspots in the Barents region. 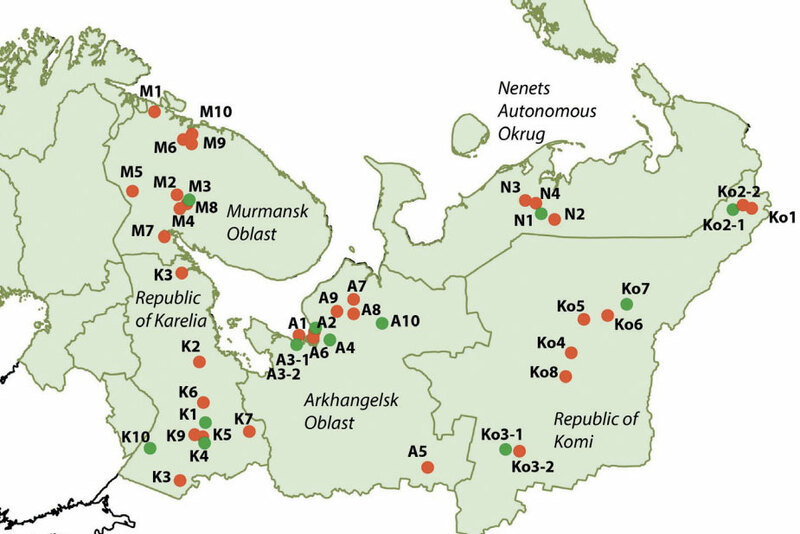 However, in 2003, NEFCO revised the list of hot spots in the whole region, including Murmansk and Arkhangelsk regions, Nenets autonomous district, and the republics of Karelia and Komi. A total of 42 environmental trouble spots were identified and 52 investment projects aimed at mitigating the negative impact on the environment was proposed. 8) coal industry waste — processing of coal waste into coal briquettes (Ko8). A working group on elimination of the hotspots was establish in Komi. It included federal and regional executive authorities, among them the regional inspection authorities Rosprirodnadzor, Rostekhnadzor and Rospotrebnadzor, and the Ministry of Natural Resources. In November 2015, one hot spot was eliminated — “Reduction of CO emissions and specific substances (Ko3-1)” was excluded from the list. This decision was preceded by a series of environmental projects by forestry processing company Mondi, which led to changes in technological chains and application of modern and safe methods of industrial production. 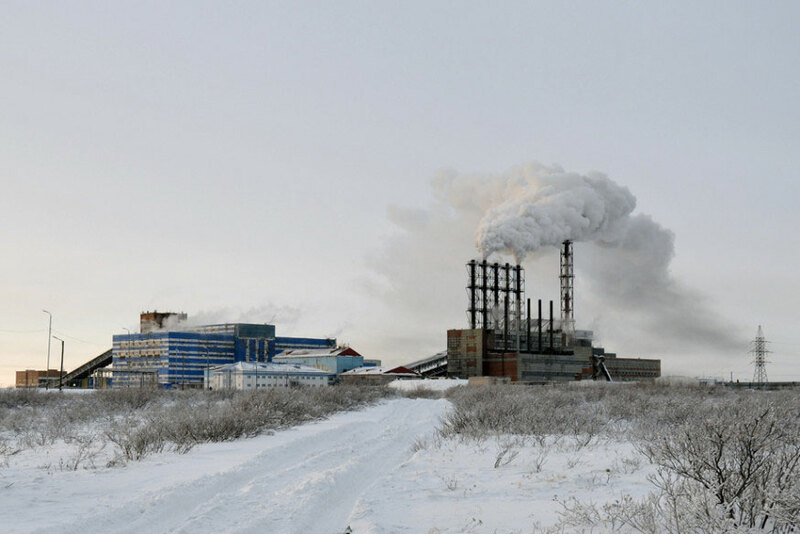 In December 2017, the Barents Council removed one more item from the list: “Reduction of dust emissions by the Vorkuta cement plant (Ko2-1)”. For many years local enterprises polluted the air in Vorkuta. According to monitoring data, in 2003, a quarter of all dust emissions were accrue to the Vorkuta Cement Plant. To reduce emissions and make cement production more cost-effective, an electrostatic filter was in 2013 installed at the plant. This helped reduce dust emissions by 98%. In January 2017, the company suspended its activities. At the same time, another hotspot was taken off the list — “Waste of woodworking and pulp and paper industry (Ko7)” following a number of environmental measures. According to Alexander Gibezh, First Deputy Minister of Industry, Natural Resources, Energy and Transport of Komi, the forest industry is one of the main sources of income for the republic, as a result, about 2 million tons of sawmilling waste is generated annually in the region, which inevitably leads to environmental pollution. Wood waste is stored in enterprises and dumps, which creates the risk of fires and leaks of pollutants into water bodies. Besides, landfills are a powerful source of methane emissions, which affects climate change. The department believes that the most rational way to solve this problem is to recycle waste into biofuel, this allows for utilisation of both existing and newly formed wood waste, reduce the amount of harmful emissions into the atmosphere and reduce the cost of boiler work. According to the first deputy head of the Ministry of Industry, today 20 enterprises process wood waste into biofuel in Komi, 58 boiler houses have already been converted to fuel pellets and briquettes, and by 2021 the government of the republic plans to increase their number to 96, which will form a stable market for environmentally friendly fuel and completely abandon the use of fuel oil and coal in the communal energy of forest areas. In Komi, they believe that in the near future the list of environmental hotspots will be reduced by two more objects. The Ministry of Industry says that it will propose to the Barents Council to delete the spots “Emission of greenhouse gases into the atmosphere from the Vorkuta coal basin — utilization of coal mine methane in the coal mines of the Vorkuta basin (Ko1)” (“Vorkutaugol” is responsible for this) and “Reduction of wastewater discharge (Ko3-2) “(for this, Mondi Syktyvkar is responsible). According to the ministry, at the moment Mondi is implementing a large-scale project on the modernisation of the biological sewage treatment plant, and Vorkutaugol — an investment project “Utilisation of degassing methane at the “Severnaya” mine”, the purpose of which is the generation of heat and electricity for the needs of the mine. According to the communications department of JSC Severstal Management, the utilisation of mine methane in Vorkuta began in 1975. By 1986, boiler-producing enterprises were equipped with boilers, and thanks to them methane was used as fuel for heating of administrative buildings. In 1992 and 2013 the boiler houses were partially modernised. Today, coal mines Vorkutinskaya, Zapolyarnaya and Komsomolskaya dispose the mine gas. Only in the last two years, methane emissions decreased by 34 percent. In 2013, construction of two gas-piston thermal power plants with a capacity of 6 and 12 MW at the Severnaya mine was completed. This allowed simultaneously to produce heat and electricity for the needs of the enterprise. The project costed 943 million rubles. Thanks to the utilisation of methane in the boiler rooms of Vorkutaugol, the volume of emissions from degassing methane — a major climate gas — to the atmosphere has been reduced. Thermal energy produced by mine boiler rooms and GPHPPs allowed to reduce the consumption of heat and electricity from an external source — Vorkutinskaya CHPP-2, which in turn reduced the volume of coal combustion. From 2013 to 2016, the total amount of utilised methane in the gas-piston thermal power plants of the Severnaya mine amounted to 112 million m³, the actual amount of generated energy was 153.6 million kW/h. Now company Vorkutaugol is developing a project to transfer GPHPP from the Severnaya mine to the site of the ventilation shaft No. 6 of the Vorkutinskaya mine, where a modular degassing unit was built in December 2017. As an alternative, the company is considering the possibility of using flare units for methane combustion at the vacuum pumping station of the Vorkutinskaya mine. This will increase the methane utilisation. In the course of the first nine months of 2017, the total volume of degassing methane was 195 million m³, of which 50 million m³ was utilised, that is, 25%. The company expects that reducing emissions of degassing methane will ultimately lead to the exit of Vorkutaugol from the list of environmental hotspots. “Environmental protection is one of the main priorities of Vorkutaugol at all stages of production activity. The main objectives of the company in the field of environmental protection are determined by the environmental policy of Severstal, which includes prevention of environmental pollution, participation in addressing the problems of reducing greenhouse gas emissions, economical and rational use of energy and natural resources, as well as efficient management of waste generated,” says Sergey Likhopud, General Director of Vorkutaugol. Vorkutaugol was later in 2017 awarded a prize for its climate contribution in the contest “Leader of the climate development of Russia in 2017». 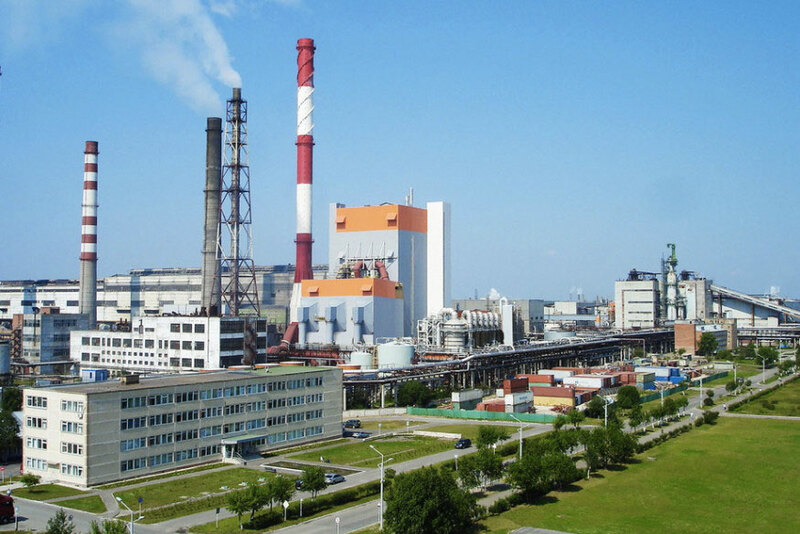 In 2003, the Mondi Syktyvkar plant accounted for 75 percent of all local industrial air emissions, and the forestry processing plant also discharged large volume of contaminated sewage to the surrounding of the Komi capital. At that time, emphasis was placed on sustainable development: parallel capacity building and reduction of the negative impact on the environment. Elemental chlorine was used in the pulp bleaching industry, and measurements in the early 2000s showed high amounts in wastewater compared to European standards. Therefore, one of the first tasks was the transition to chlorine bleaching and avoiding the use of elemental chlorine. This project was completed in 2006. The results were impressive — the concentration of absorbed organic chlorine (AOX) in discharges decreased tens of times. The large-scale project “Step” included other measures — technical re-equipment, reconstruction of soda recovery boilers, which allowed to reduce emissions to the atmosphere and eliminate the first hotspot from the list. It was possible to significantly increase the volume of repeated water consumption at the plant. “The pulp and paper industry is very cumbersome. In Europe, on average, approximately 30-50 cubic meters of fresh water per ton of finished products is consumed. In Syktyvkar, 100 cubic meters and above were spent before the introduction of “Step”. After “Step”, water was used as much as possible inside the plant, and not just discarded. There was a closed cycle and it was possible to reach an indicator of 65 cubic meters of fresh water per ton of production. This was the best figure in Russia. Virtually none of the pulp and paper mill at that time outstepped a hundred “cubes”,” said the chief ecologist of “Mondi Syktyvkar” Dmitry Ocheretenko. The next major program was the modernisation of treatment facilities. The sewage treatment plants were built and launched at the same time as the combine — in the late 1960s. The second stage of construction was in the 1980s — then primary and secondary settling tanks were added. This system has worked practically unchanged for more than 30 years, but at the beginning of 2010 it became clear that it did not meet the needs of the plant, which increased production. In 2012, a concept was developed for the modernization of treatment facilities, which included three stages. Work began with the modernisation of three of the eight aeration tanks (reservoirs through which waste water flows mixed with activated sludge, biological treatment of water takes place there) and six secondary sedimentation tanks. They built a mechanical sewage purification plant for municipal sewage from Syktyvkar, Ezhva and village of Zelenets. In this building, thanks to the grilles, large debris is removed, and due to sanding, sand and smaller stones are removed. There were buffer capacities for 10 thousand cubic meters. They were necessary in order to equalize the flow of urban effluents entering the purification: in the morning and in the evening the pressure may be 1-2 thousand cubic meters, while at night it drops to 200-300 cubic meters. Another object was a new mixing chamber for industrial and domestic wastewater. The first two stages were completed in 2016, and costed more than 1 billion rubles. At the third stage, the modernisation program was expanded in comparison with the original version. “Treatment plants are one big organism. The effect of replacing one settler will be little, since it is in a common chain. The effect will appear only when you do everything, fulfil all the stages. Reducing the indicators of negative impact on the environment can be seriously seen when the entire body is activated and launched,” said the chief ecologist. The enterprise decided to modernise all primary settling tanks. Reconstructed tanks built with Scandinavian technology (the so-called “wet wheel” — this is when the farm is spinning in the water, as a result, wear and tear of equipment decreases due to the difference in the temperature of the water in the tank and air in the cold season). The first modernised clarifier will be launched in the first days of 2018, the second — on the way. By the end of next year, four more are to be modernised. The reconstruction of aeration tanks continues, a new aeration and sludge supply system is being introduced. The first of the three was launched in mid-October 2017, the last two will be upgraded during 2018. By the end of next year, all the remaining secondary settling tanks will be updated. New objects are planned and built. There appeared a reagent farm, the task of which is the supply of chemicals necessary for active sludge (active sludge — organisms that purify sewage, they consume organic matter, but for this they need nitrogen and phosphorus). A new reagent farm will feed the substances automatically. The second required object is the sludge dewatering site and the sludge compactors. During the cleaning process, the activated sludge multiplies, grows, so the sediment must be removed from the settling tanks and sent to the dewaterer site. But the concentration of sludge immediately at the outlet is not enough to be dewatered. Sludge consolidation tanks are needed to thicken the mass, which is then fed to dewatering. Instead of one dewaterer table, four will be put into operation. According to Dmitry Ocheretenko, the main object of the third stage will be the building of disk filtration. Now the water after the secondary settling tanks is discharged into the river, but in the future disc filters will appear in this chain, which will increase the level of water purification from suspended solids. All this work will be completed by December 2018. Expenditures for the last stage amounted to 3.3 billion rubles. “In the past and this year, when we met with representatives of NEFCO and the Barents Region, we showed what we were doing under the modernization program. But we do not want to exclude our ecological trouble spot. We do not want to claim until we implement the project completely,” says the chief ecologist of “Mondi Syktyvkar”. According to Dmitry Ocheretenko, this will happen in 2019.